How Hard Is It ? Why the Trainer and I turned back before Everest Base Camp in 2013.We trained more than when we made it in 2015 . We were fit enough. So why didn’t we make it ? The sport teacher at work took an interest in my EBC training. One Monday morning he asked how it was going. I replied well but pulled up my trouser leg to show him the rash on both my ankles. He told me to go to the hospital immediately. The colleague I share an office with came to look at the rash. Unbelievably his wife had had the same rash, had spent time in hospital and could have died. I made an doctor’s appointment for the afternoon. The doctor looked at the rash on both my ankles said it wasn’t Cellulitis and agreed it was probably caused by my trekking socks. My bamboo socks. He told me if the rash changed in any way to come straight back. The rash cleared up and some months later and the trainer and I left for Kathmandu to trek to Everest Base Camp. With the same bamboo socks. I didn’t really think about not taking them. They hadn’t caused anymore problems. Life is great in retrospect. On the trek to Tengboche the rash returned with vengeance caused no doubt by the eight hour walk that day and the dusty trail. And the socks. However it was a lot was redder than it had been back home and coming up over the the sock line. I was a bit panicky. It had been a unexpectedly hard day’s climb. It was freezing cold and late in the afternoon when we arrived in Tengboche. A lot of the lodges were closed as it was getting late in a quiet season. We weren’t that thrilled with the accommodation and the shared toilet arrangement which we had managed to avoid until then. It was turning out to being not such a great day. The next morning after breakfast I showed my rash to a woman in the lodge we had met the day before. She had told me she was carrying a lot of medicine and as I suspected she was a nurse. She agreed with me the rash looked like it was caused by my socks and told me if it got worse or started to feel hot to start taking the broad spectrum antibiotics and ring for a helicopter. I was a bit panicked at this comment given we were trekking without a guide or porter. The Trainer tried to calm me down. We walked to Pangboche a lovely walk and found a lodge fairly early. I spent some time trying to find out how we would call a helicopter without much luck. We had showers which made the day seem a bit better. During the night I started the antibiotics because my leg felt hot. The next morning the Trainer suggested we walk to Shomare have a coffee and then decide whether to go on or not. And yes, we had that drink and decided to turn back. Life is great in retrospect I should not have taken the bamboo socks to Nepal, bought some topical cream, investigated the rash more on coming home but I didn’t. When we returned home I heard a lot about bamboo socks not being good for trekking. They retained moisture instead of wicking the moisture away. The socks were banished from my sock drawer forever. I had actually had been recommended the socks in a camping store. In retrospect don’t buy hiking gear in a camping gear shop. I recommend finding a hiking gear shop that employs staff with lots of trekking experience. I bought woolen socks for our second trip. Trained with them and packed more pairs. Ironically I got the rash again on the second trek. And on the first day. Just a tiny bit at first and with woolen socks. I applied the cream I brought and raised my legs. By the end of the trek the rash was being annoying. The rash back in Kathmandu after the second trek in 2015. Don’t be put off Tengboche. It is a hard days trek and being mentally prepared will help. We trekked back through Tengboche on our way back from Everest Base Camp. It seemed like a much nicer place in the middle of the day with the sun shining. We spent some time there, watching marathon runners coming through and taking photographs. We still haven’t seen inside the temple to we might just have to go back. Anyone else have a frustrating medical “emergency” on holidays ? My You Tube of Walking to Tengboche. How hard is it to trek to Everest Base Camp ? The golden rule is not to sleep more than 300 metres higher each day. Sticking to the rule the Trainer planned a sixteen days trek which meant staying in Dughlia. Not the most beautiful place and with only two lodges. Most treks stop for lunch here and then continue on to Lobuche. We experienced no headaches. Our itinerary was a slow trek. The night we factored in Khumjung gave us an extra day to acclimatise at a slightly higher altitude after our two nights in Namche Bazaar. Bistari, bistari – slowly, slowly our porter used to say. And we did go slowly and rested regularly. It is not a race. We took time to savour the amazing views. We kept hydrated and didn’t drink alcohol on the trek, not counting my Mohito in Namche on the way back. 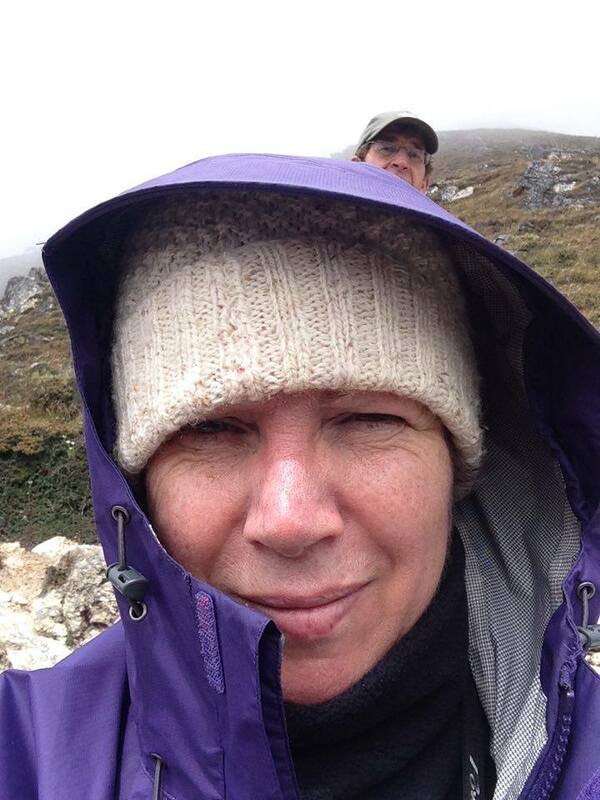 Acclimatisation days are important for day walks to a higher altitude. Then you sleep at the same altitude a second night. Everyone has different advice about Diamox. This post is how we managed the altitude and the Diamox. People following our trek to Everest Base Camp know the Trainer was also the researcher extraordinaire. I found printed information he had and have linked the sites at the end. Trekking companies often have information too. Visit your doctor for advice. A doctor at the clinic we visit had been to Base Camp three times. His advised us to not take the Diamox too early and only if we needed it. He reasoned taking it too early didn’t allow any reserve to fall back on. He suggested if we had problems to take the Diamox, descend, sleep lower and come back up. Time permitting this is a good plan. The company who organised our porter, Lukla flights and TIMS cards brought our tickets to our hotel. We had met Doma who manages the business in Kathmandu in 2013. This time her husband accompanied her. 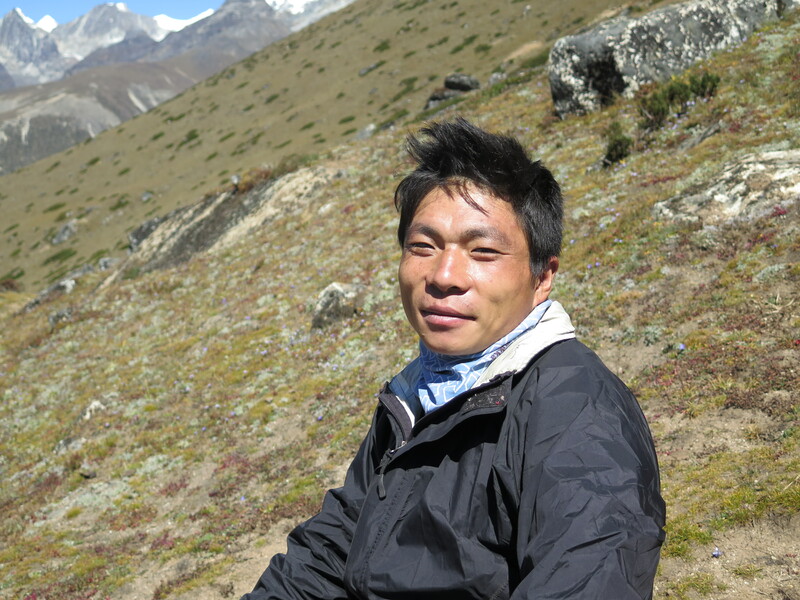 Lhakpa is usually out with a group trekking somewhere. His advice was to definitely start taking half a Diamox twice daily at Dingboche (4,000 metres) if we weren’t already taking it. The Trainer smokes but he is very fit. He started taking half a Diamox twice a day in Namche Bazaar. I had decided to take our doctor’s advice but changed my mind to take Lhakpa’s advice with his experience of many treks. So what did I do? Altitude can affect your sleep. You momentarily stop breathing and then your body wakes you. A bit scary and annoying. The trainer with his husband hat on suggested taking the Diamox purely to sleep better. I started taking half a tablet twice daily in Phortse (I think) two nights before Dingboche and slept much better. The trade off is Diamox makes you wee more . So read all the info, get medical advice, guide’s advice then do what feels right at the time, all things considered. Interested in reading my packing list? our acclimatisation day in Dingboche which was a big walk.